Nobody likes to look broken. We try to put our best foot forward - to hide our flaws behind a veneer. But that is exactly what we should NOT be doing. Because the more our cracks show, the more He shows. 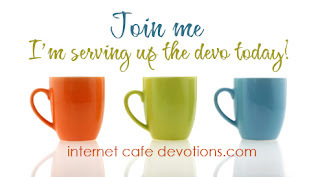 I'm over at Internet Cafe Devotions today, talking about His light through our flaws. Won't you stop by and see whether you're a cracked pot - or a crackpot?